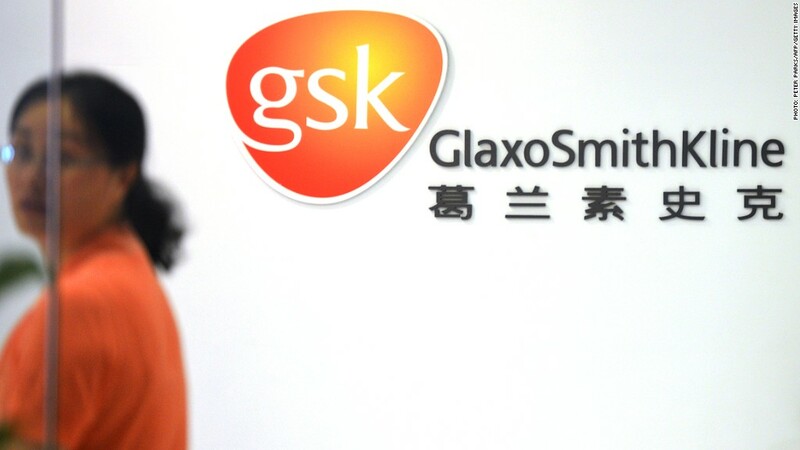 Chinese police have detailed allegations of bribery by GlaxoSmithKline, saying the pharma group used a network of more than 700 firms to transfer funds. GlaxoSmithKline used a network of more than 700 Chinese travel agencies and other firms to channel bribes to health officials, state media reported Monday. The Xinhua news agency, citing Chinese police, said four senior Chinese executives working for the U.K. pharmaceuticals group had been detained and would be charged once preliminary investigations are complete. Since 2007, GlaxoSmithKline (GLAXF)used the network to channel hundreds of millions of dollars to government officials, medical associations, hospitals and doctors with the aim of raising drug sales and prices, media reported. The state news agency said the transfers totaled nearly $5 billion while other media said the figure was a tenth of that. GlaxoSmithKline declined to comment on the number of employees held by Chinese police but said it was deeply concerned by the "shameful" allegations. It is reviewing its ties with all third-party agencies and will cooperate with the investigation. "We have put an immediate stop on the use of travel agencies that have been identified so far in this investigation and we are conducting a thorough review of all historic transactions related to travel agency use," a spokesperson said. China's Ministry of Public Security first accused GlaxoSmithKline last week of orchestrating a campaign of bribery and corruption in some of the country's biggest cities. International companies operating in China often have a valuable edge over local competitors in terms of public trust, but a recent spate of allegations relating to price-fixing, quality control and consumer rights has forced some of them to defend their reputations. Aircraft engine maker Rolls-Royce (RYCEF) said late last year it may face prosecution in the U.K. over allegations of corruption in China and elsewhere. China claims that wrongdoing by GlaxoSmithKline executives included the falsification of tax forms in order to facilitate the payment of bribes. In addition, executives are also suspected of taking bribes and kickbacks from business partners. The security ministry said last week that the suspects had admitted to the crimes. The GlaxoSmithKline spokesperson said the company's head of China -- Mark Reilly -- remained in his post, but declined comment on his whereabouts. Some reports say he left China last week and has not returned. Corruption is thought to be endemic in wide swaths of Chinese industry and is perceived by many as a cost of doing business in the country. The ruling Communist Party is sensitive to allegations of bribery after several high-profile members were caught in scandals in recent years. Former President Hu Jintao warned that failure to tackle corruption could be fatal for China. It's not yet clear whether the GlaxoSmithKline allegations are tied to a probe of price setting practices at 60 pharmaceutical companies announced last month by authorities. The National Development and Reform Commission is investigating 33 drug companies over pricing and a further 27 over input costs. GlaxoSmithKline is among the companies targeted, along with Astellas (ALPMF) and Sandoz.